Arthritis sufferers are going to be very excited about this. Recently a group of researchers got together to develop a potential medicine for rheumatoid arthritis. They choose to study a compound in royal jelly called 10-hydroxy-2-decenoic acid. We'll just call it 10H2DA for short since it is a such a mouthful to pronounce. I won't bore you with the scientific details, but what the researchers found was that the 10H2DA blocked two pro-inflammatory signaling pathways in their study. So what does this mean for you? When a disease state exists in your cells such as arthritis, your cells send signals that there is an issue (the disease) and that in order to protect itself, inflammatory chemicals need to be brought to the scene (your joint) to help heal the area. It is your body's biological response to try and 'remove' the disease or damaged cells. Initially, this is highly beneficial but sometimes inflammation can cause further inflammation, leading to chronic inflammation which is often the case with Rheumatoid Arthritis. RA is an autoimmune response whereby the immune system attacks healthy tissue, mistaking it for harmful pathogens. 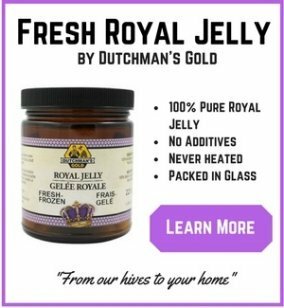 Royal jelly is very well established as an immune modulator so it comes as no surprise that it was effective in another autoimmune condition such as RA. 'Calming down' the immune system is essential in any autoimmune condition. 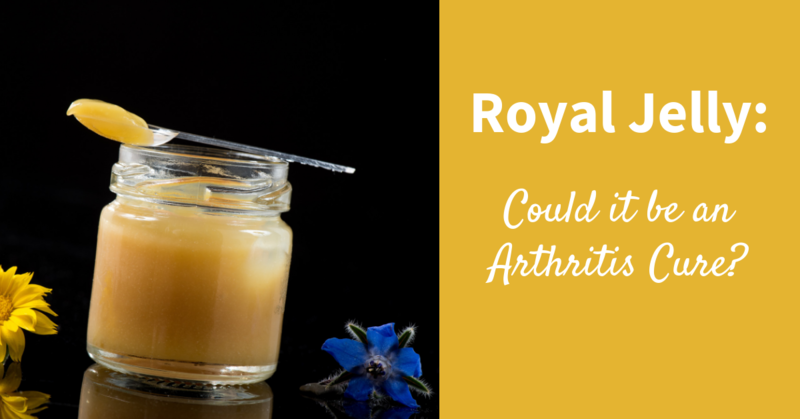 According to the researchers in this study, Royal Jelly might be helpful in a condition such as rheumatoid arthritis because it interrupts these signals continually asking for more inflammation, which over the long term leads to damage of the joint, pain and disability. These scientists concluded that 10H2DA (the royal jelly compound) may be of potential therapeutic value in inhibiting joint destruction in rheumatoid arthritis. 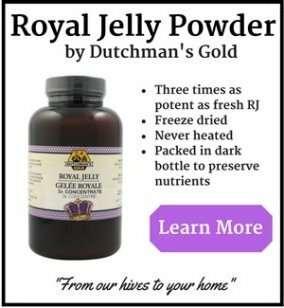 The research on using royal jelly for arthritis is very new and unfortunately human studies have not yet been done. As a result we don't yet have the exact doses required to obtain a therapeutic benefit. 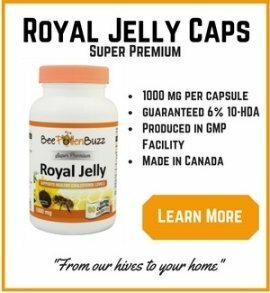 The following recommendations are based on my observations, dosing used in other human royal jelly studies and years of experience using this compound. Proteolytic enzymes on an empty stomach twice per day. Journal of Ethnopharmacol, 2010 Feb 3.